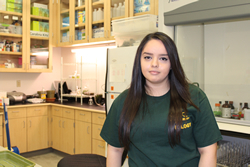 Great Basin College biological sciences student Sandra Solis always knew her dream of pursuing medicine would involve completing clinical hours and undergraduate research. But the first-generation college student never imagined pre-requisites for medical school would eventually lead her to one of the world’s foremost medical research centers, the National Institute of Health. Solis, a 2015 Elko High School graduate, was chosen to receive the NIH fellowship for research that will take place this summer at the NIH campus in Phoenix, Ariz. She will work under the direct supervision of Senior Investigator Leslie Baier, Ph.D. in the Epidemiology branch. 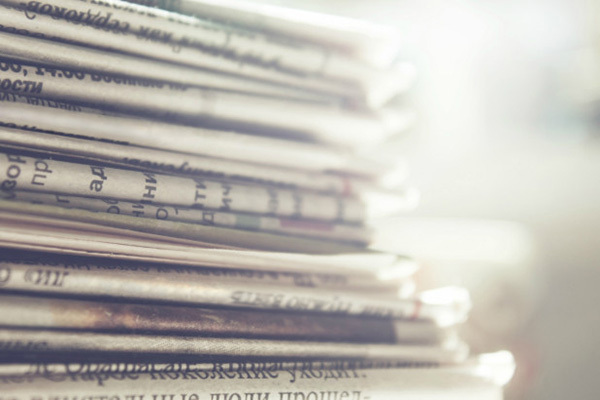 To be considered for the fellowship candidates must show excellence in areas of academia, community and school involvement, and field experience. Solis maintains a high GPA and shares her knowledge by tutoring fellow science students. During her college career, she has completed clinical hours at the Highland Manor and shadowed local physician Dr. Paton Whimple. Solis will also be one of the first graduates of the Bachelor of Science in Biological Sciences degree program since it went live during the spring 2016 semester. Solis also credits her early success to peers and mentors she has met through a very special network on campus, the Biological Sciences Student Support Network [BS(3)N]. The network has been made possible through a sub-grant from the National Institutes of Health Nevada INBRE (IDeA Network of Biomedical Research Excellence). The goal of the grant is to prepare students to succeed in their undergraduate courses at GBC and to establish connections with other GBC students. Students participate in field trips to professional schools, discussions concerning admission processes and college success strategies. Margo Teague is the GBC Site Coordinator of the NIH/INBRE Biomedical Research Program and works closely with students, like Solis, who seek professional school studies upon graduation from GBC. "The most distinguishing characteristic I see in Sandra is the way she reacts to a challenge. She doesn't waste time complaining or worrying. She literally straightens her shoulders, says, 'ok', and focuses her energy on solving the problem at hand,” Teague said. “She seems to draw energy from these kinds of challenges rather than let them drain the energy from her. I have had the opportunity to watch her do this with challenging coursework and during her work with students who come in for tutoring. She is truly inspirational to those around her." After completing research, Solis will travel to the NIH headquarters located in Bethesda, Md. to present her findings. 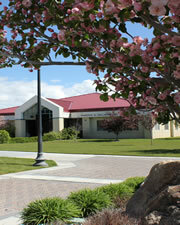 For more information on the GBC biological sciences program, visit http://www.gbcnv.edu/programs/programs.html.